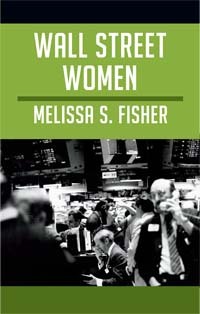 There is a particularly illuminating moment in the opening chapter of Melissa S. Fisher’s Wall Street Women—a blink-and-you-miss-it comment that serves as a crucial reminder of the book’s significance: “It is difficult to remember the extent of sexual discrimination in the United States, as well as how thoroughly ideas of masculinity structured Wall Street in particular during the sixties and seventies” (7). It is no wonder that our memory might fail us: contemporary corporate America so often prides itself on its diversity initiatives, its Human Resources-led strides toward equality in the workplace, its glossy images of business-suited men and women of various ethnicities and ages collaborating to reach common goals. Fisher’s account of professional women’s experiences in the financial sector presents a quite different series of images: 1960s investment banks with just one woman on staff, a 1972 Merrill Lynch employment entrance exam with a correct answer about being interested in beautiful women, and an early 1970s Wall Street research director who congratulates himself for hiring women because he could “get the talent cheaper” (48). Wall Street Women serves not only as an helpful reminder of women’s struggles and successes, but also as an enlightening depiction of changes—and continuing challenges—in a part of the business world often seen as mysterious at best and oppressive at worst. Indeed, the material Fisher gleans through ethnographic and archival research establishes the importance of her project, even if the book raises troubling questions about the compromises that women continue to make in the name of success, and about the nature of high finance itself. Fisher’s careful study begins with first-person narrative—the story of a 1994 meeting with Patricia Riley, a successful research strategist for a major Wall Street firm—and quickly broadens into an overview of the book’s theoretical apparatus and methodology. Fisher places her work into conversation with feminist practice theory and theories of social construction, characterizing Wall Street as a set of everyday practices as well as a “social imaginary” that can shape individuals’ behaviors and attitudes. Her opening chapter’s shifts from narrow to wide focus—citation-heavy paragraphs interspersed with particular women’s stories—characterize the book’s structure as a whole, and prevent the reader from becoming bogged down in one specific series of anecdotes or interpretations. The anecdotes, however, are essential to the process of learning about women’s mid- to late-20th century strategies for finding a place on Wall Street, and for building community with each other even within competitive corporate cultures. Readers will encounter the pioneers who learned and altered the “managerial codes” of the top firms (78). Many of these women began their careers as analysts, working behind the scenes in research departments while men retained the flashier positions as brokers, traders, and investment bankers. As analysts became increasingly important within high finance, the women holding these jobs became insiders, negotiating the challenges of entering a male-dominated realm. They had to find ways to work within and outside Wall Street traditions, including modes of communication and networking; even seemingly simple decisions about proper office attire were difficult, laden with significance: “The women wanted to be taken seriously, and not mistaken for a secretary or a member of the more lower- and middle-class back office” (84). Interviewees also mention their initial confusion about boardroom seating, hosting corporate events, and table manners for power lunches. One woman even remarks that she felt like Jane Goodall, observing the unfamiliar behaviors of a species different from her own (79). Because, as Fisher points out, everyday practices can also “reproduce” structures of power, Wall Street Women’s arguments about women’s communities and “market feminism” are by necessity complicated, and at times difficult to grasp. Fisher defines market feminism as an alignment of market forces and demands with feminist arguments for equal rights in the workplace and beyond. For instance, Fisher contends that women worked hard, individually and collectively, to co-opt certain stereotypical notions of gender difference as they strove to establish their careers. She notes that two prevailing images of financial success—the Horatio Alger vision of “luck and pluck” and the more recent notion of making risky, daring bets on the market—both became useful to women working in high finance. The older vision of meritocracy and being in the right place at the right time inspired women to work within the existing system, to lobby for “sufficient adjustments and reforms to allow women access to all areas of economic and public life” (97). The later emphasis on risk “also contributed to further inculcating a more cultural and, indeed, essentialist feminism into the world of finance…revalidat[ing] undervalued female attributes such as conservative thinking” (97). While Fisher suggests that the potential gains for women subscribing to these images of success were and are complicated by each image’s neat alignment with neoliberal discourses of autonomous (often coded masculine) individualism and deregulation, I wished for more acknowledgement of the idea that depending on problematic images also entails perpetuating those images and the assumptions underpinning them. For instance, the Working Girl admin assistant-to-executive fairy tale notwithstanding, unequal circumstances beget unequal opportunities; those “lower- and middle-class secretaries” cannot move up the corporate ladder through sheer willpower alone, and the Algeresque notion that they could do so—if only they tried harder—harms rather than helps their chances for advancement. Moreover, while I agree that the casino-like culture of contemporary high finance could certainly benefit from a more conservative (and more ethical) approach to risk, the idea that women can succeed on Wall Street because they are typically cautious and risk-averse perpetuates essentialist assumptions and becomes, ironically, a risky strategy. What happens to these cautious female executives when the tide turns, and the high-rolling gambler once again becomes the prevailing archetype? More broadly, what does success on Wall Street—and women’s strategy of “deploy[ing] very traditional ideas about femininity to make room for themselves…[in a] decidedly untraditional vocation” —cost (171)? Indeed, we may have already witnessed the answer to these questions. Wall Street itself continues to be dominated by white men. Fisher notes that many women lost high-ranking, high-profile positions after the collapse of Lehman Brothers and other banks and insurance companies. Of course, the global economic crisis resulted in many downsizings, but I wonder if Wall Street firms are continuing to cling to their gambling ways, desperate to recoup their massive losses by making huge bets on the volatile market. Wall Street Women offers some reasons to think otherwise, describing women taking part in an “emergent discourse of the feminizing and ‘feministing’ of markets” (157), some of which “articulated a divide between masculine, greedy, risk-taking actors and behaviors…and a more feminine, long-term approach to financial practice that could possibly help the economy avoid crisis or could fix it” (158). For instance, Fisher cites specific examples of women engaging in socially (and fiscally) responsible investment practices. This notion of making capitalism somehow work differently, which runs like an undercurrent through Fisher’s book, is enormously appealing. But I worry that even these images of women as “change agents’—to borrow a business term—retain reductionist ideas of gender difference that may cause more problems than they solve. Megan Brown is an Associate Professor of English at Drake University in Des Moines, Iowa. Her book, The Cultural Work of Corporations, was published by Palgrave-Macmillan in 2009, and her work has also appeared in Cultural Studies, Women’s Studies Quarterly, and SAQ.